Rishiraj Group is a success story spanned across 2 decades and continues to achieve higher targets relentlessly for quality performance and service in the field of Real Estate business. The group has successfully completed several Residential & Commercial Projects in and around Mumbai,Pune. 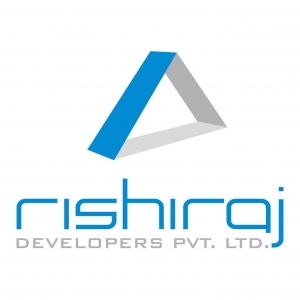 Today, Rishiraj Group’s portfolio includes a range of high profile individual as well as corporate clients. Our uniqueness comes from the fact that we also customises the structures as per the needs of its individual and corporate Clients. The Rishiraj Group’s credo of “No Compromise” embodies strong commitment to highest standards of excellence and ethics. Anil Kulkarni passed his Diploma in Civil Engineering from Mumbai in the year 1971. He served under Contracting firm called Consteel Corporation for a period of about 2 years and then started his own contracting firm in the year 1973. The firm used to undertake large civil contracts of HPCL,BPCL, Empire Dyeing, TATA Mills, etc. In the year 1985 he co promoted a firm and a private limited company called Nirmiti Builders and Nirmiti Developers Pvt. Ltd for undertaking business of Builders and Developers. After more than a decade and a half in the year 1999, he went on his own and started a company Pearl Concept Developers Pvt Ltd and thereafter along with his son Mr. Rishiraj Kulkarni started a company Rishiraj Developers Pvt Ltd.
Having more than three decades of experience in the Real Estate, Civil Engineering and Construction field and an extremely successful Marketing Person having extensive contacts, he has to his credit more than 75 % of sale in the projects executed. A young dynamic Civil Engineer from a reputed institute in Pune with 15 years experience in the Real Estate has a thorough understanding of the nuances of the Real Estate industry. He completed his graduation in Civil Engineering from MIT, Pune in the year 1999. He worked under a civil contractor for a period of 2 years before joining his father in the business of builders and developers.